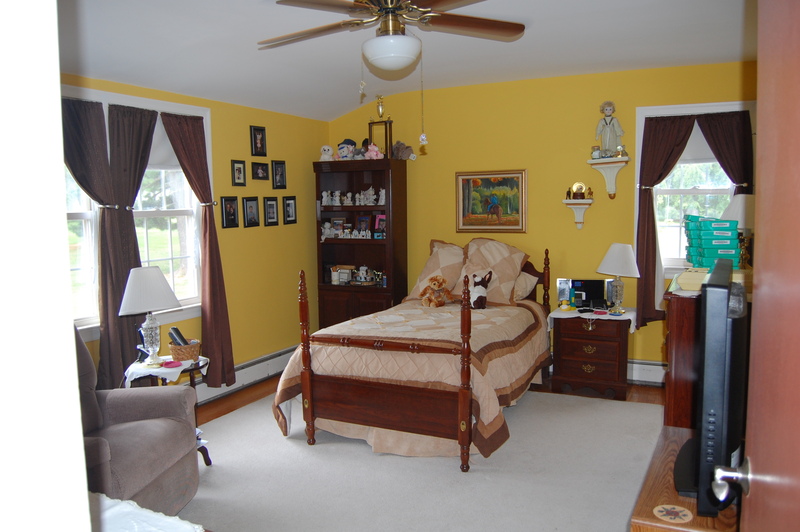 Remember this awkward corner of our master bedroom? Well, it’s still not finished. But this display shelf–made from an old door from my dad’s barn, plus wooden brackets and shelves we had on hand–turned out fantastically! 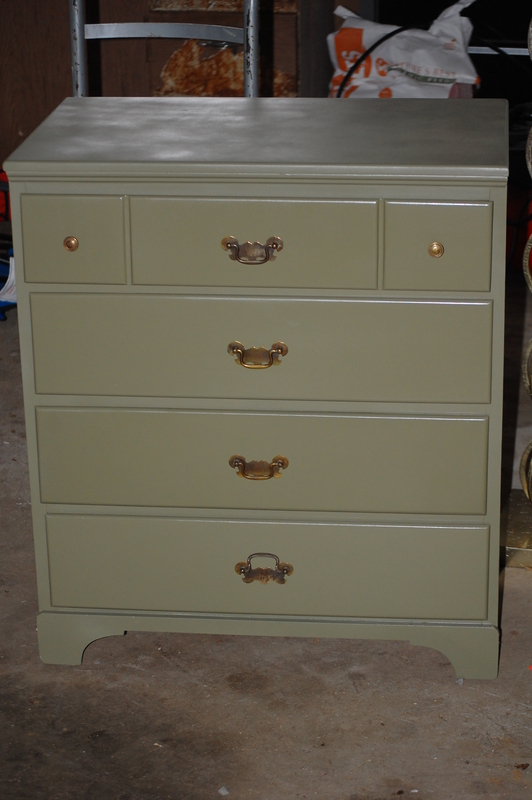 Want to see the old-dressers-turned-nightstands process? Dresser #1, BEFORE. This one came from craigslist. I was not a big fan of its green paint, or dated hardware. But it was the perfect size and shape!